Create a deeper experience of the Wheel of the Year for yourself and your community. In Rituals of Celebration, author Jane Meredith provides lyrical accounts of the most memorable rituals she’s organized, as well as how-to instructions for creating them. Inspired by Pagan, Druid, and Goddess traditions, the rituals are crafted to help us honor the changing seasons and to mark the important milestones of our personal journeys in a way that is truly relevant today. Along with the rituals, you will discover craft projects that go hand-in-hand with each festival—perfect ideas for artistic expression whether you are practicing alone, with a group, or celebrating with children. With additional instructions for building an altar and other basic tasks, this guide includes everything you need to create celebrations that will resonate deeply within you, your family, and your life. Perhaps in ancient times these Festivals were woven seamlessly into the fabric of people’s lives. Now we have the opportunity to consciously embrace them, and in doing so we make sacred our connection to the earth and the natural cycles that govern our birth, living, and death. 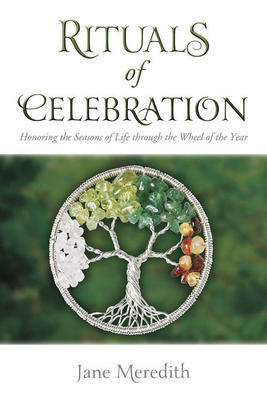 This book is a guide to the Eight Festivals and their relevance in contemporary life. It may inspire you to think about the cycles of life and connect more deeply with them. You can use it to help teach your children about the sacredness of life, to introduce celebrations and the different seasons, and explore related activities. You may choose to use it as a guide for creating your own Wheel of the Year rituals, or you may prefer simply to read about the rituals as they have been in my life and my son’s life. This book is designed to be a workbook, a jumping-off point, an inspiration, a challenge, and an open invitation to meet with the divine in the everyday. Also by Jane Meredith are Aphrodite’s Magic and Journey to the Dark Goddess.